In May, I changed jobs from working for an SEO Agency to being the In-House SEO Manager for a large brand. Since the switch, I’ve realised that at the time, a lot of the ongoing SEO ideas, experiences and techniques I developed came from working across a variety of client industries, or sharing learning’s with my fellow SEO agency geeks. In other words, it partly stripped out the need to religiously to learn, for example, by reading SEO blogs each day, or enduring another uselessly vague Matt Cutts video. This hasn’t changed completely, but my job responsibilities and workload have taken a huge step up e.g. solving SEO issues on very big multi-lingual websites, controlling SEO budget and making the most out of less team-support – of course, all great experience in itself though. But, out of personal and professional SEO nerd pride – I still need to continuously identify/develop/action new SEO techniques (markup, link building, social etc.) but have far less time to do it in. So I will admit, I do miss that ‘constantly-researching’ agency benefit sometimes – but in business, you learn to adapt. 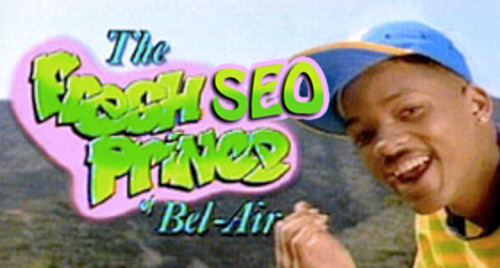 To cut to it, to ensure I continue to stay ‘fresh’ with SEO – news, practices, google world-defining changes etc. – I have developed a few daily habits that I’d like to share – all of which help me keep expanding my SEO magician skills each day. For me, I find the best nuggets of SEO knowledge from my Twitter stream come from tips and blog posts shared individually by fellow ‘slightly-under-the-radar’ SEO consultants, techies and lesser-known google employees. Of course, there is no shame in following the obvious SEO Blogs and ‘known’ figureheads (@RandFish, @DannySullivan, @MattCutts) – but that’s just scratching the surface. I probably shouldn’t admit this – it’s like confessing that you have a burning passion for Eastenders. I’ve setup my Firefox browser homepage so that upon opening, multiple tabs load up with different SEO, Google & Geek Blogs I read. As mentioned, It’s not often I have a free moment during the day to learn new SEO spells, but with this setup, it wilfully forces me to make sure I spend the first 15 minutes of the day reading the latest industry gossip (Rand Fish to launch Musical Career). If I spot a super-geeky SEO tip that is ‘new’ to me (aka I should know this already) which it isn’t time appropriate to research/action straight away – I type it into my SEO ‘to-do list’ Google Doc. When isn’t an appropriate time? Well, my best SEO-related thoughts have a fantastic tedency to pop into my head at the most obscure times..
Rushing out the door, munching a cereal bar, as I’m running late for work, again..
Hopefully some of you can relate to that.. In serious, keeping a list, lets an app worry about remembering useful SEO gold instead of me – because when I fancy exploring a new SEO idea, a whole list is waiting for me. In all, it lets me stay focused on my current SEO headache while leaving another one for a different day. On a #supernerd sidenote.. I’ve also literally emailed myself to achieve remembering SEO things before (To Pete@Work.com, you should really get on that schema.org stuff, love Pete@PersonalEmail.com). It amazes me I have friends sometimes to be honest.